Fireworks are synonymous with our celebration of Independence Day. Yet, the thrill of fireworks can also bring pain. 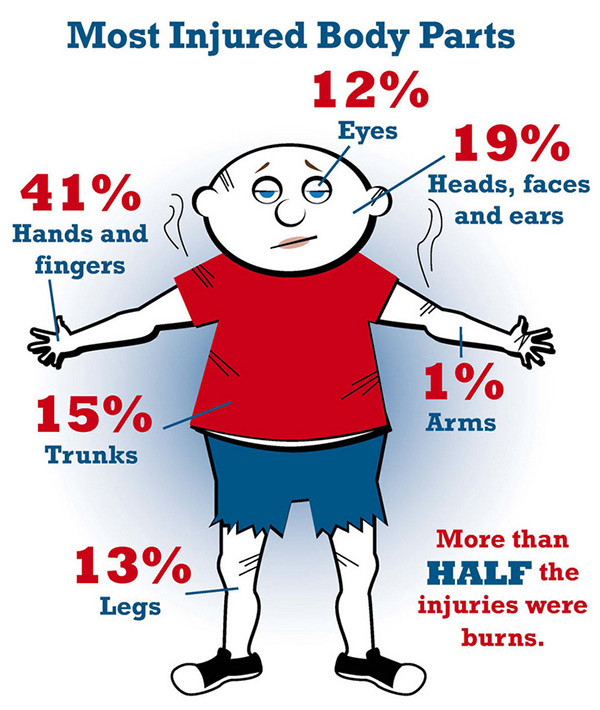 On average, 200 people go the emergency room with fireworks-related injuries each day in the weeks around the July 4th holiday. Always have an adult supervise fireworks activities. Parents don’t realize that young children suffer injuries from sparklers. Sparklers burn at temperatures of about 2,000 degrees Fahrenheit—hot enough to melt some metals (Read more about Sparklers here).